Waps are considered pests when they become excessively numerous, or nest close to buildings. They are attracted by flowers and plant life, in yards and patios, outdoor eating areas with crumbs sticky soda spills that are not cleaned up. Garbage cans also attract wasps that are seeking sources food. 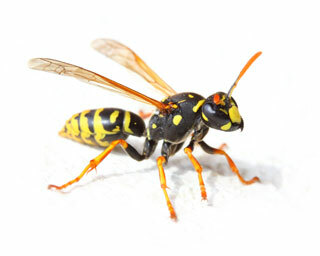 Wasps near the home can ruin outdoor activities and make yardwork difficult. People are most often stung in late summer, when wasp colonies stop breeding new workers; the existing workers search for sugary foods and are more likely to come into contact with humans; if people then respond aggressively, the wasps sting. Wasp nests made in or near houses, such as in roof spaces, can present a danger as the wasps may sting if people come close to them. Stings are usually painful rather than dangerous.